Commitment is defined as ‘the state or quality of being dedicated to a cause’. Alicia’s dedication is to her clientele, who have helped her business grow and thrive for over 26 years. With the addition of many talented stylists, estheticians and nail technicians, Alicia’s Hair Salon and Spa gives off a family atmosphere paired with relaxing and exceptional services. This is an enthusiastic and passionate group of professionals, offering years, oftentimes decades, of experience. You can just say the word ‘hair’ to a woman, and she tells you the story of her life. For many, their hair is an expression of who they are and an extension of their style and fashion taste, and at Alicia’s it is treated as such. Our stylists are artists; ombre, balayage and hi-lites are made to look natural or fashionable, and are paired with a beautiful hair cut and style. Chemical smoothing and perms are completed to perfection, with great care taken to ensure that the hair remains healthy and strong. 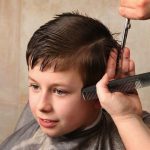 Buzz cuts and crew cuts and undercuts, oh my! Today’s modern man no longer leaves their style or hair up to chance, and that’s where we come in. 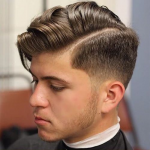 Alicia and her stylists pride themselves on possessing the education and talent to recreate these styles. Colours that look natural, or trendy, fades with no seams in sight and a style that will have you leaving the salon with your hat in hand, not on your head. Whether your kids are first-timers or veteran clients, our salon has a friendly and welcoming environment. Our “Mini Cooper” will keep them occupied, and with your permission, a sweet lollipop makes for a happy ending to a great haircut. 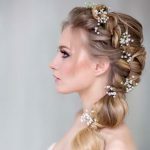 Your wedding day should be filled with love and a hair stylist with exceptional bridal skills. Not only do we offer up-do’s, delicate curls and bouncy waves. Get the upper hand with a perfectly polished manicure. Our talented nail technician can offer unrivalled quality gel nails. Top them off with some gems or nail art, and repeat every 4 weeks! Healthy feet are just as essential, and luckily Alicia’s offers only the best in pedicures. Don’t be shy guys! 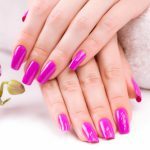 Manicures and pedicures are always available without polish and nail extensions for the man that takes care of his hands and feet. 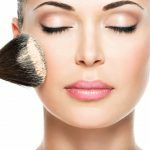 Make-up is a key part to any event, whether it’s a fun (halloween) event, prom or wedding. We do it all, from special effects to soft daytime looks, our make-up artist can give you the look that you want for that special event. Luxury doesn’t have to be expensive, but it can feel expensive. 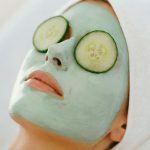 Alicia’s believes that facials and massages should be a service that all clients should have the privilege of experiencing. Skincare is available for all ages, men and women, to fight aging, acne and uneven pigmentation. Our relaxation massages are just that, relaxing and soothing; pair this with a back treatment for the ultimate stress reliever. Not quite as relaxing, Alicia’s offers quality waxing services, from brows to backs, you’ll leave with less hair but much more happy.